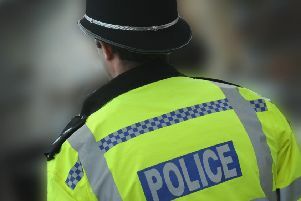 Police will be increasing patrols around Horsham as officers step up their battle to tackle vehicle crime in the town. Officers said two men were arrested last week after a member of the public reported seeing people trying car door handles in the town on Tuesday (November 13). Police said Darion Bates was charged with two counts of vehicle interference. The 51-year-old, of no fixed address, pleaded not guilty to both charges at Crawley Magistrates’ Court on Wednesday (November 14) and was remanded in custody to appear at Horsham Magistrates’ Court on January 7. A 53-year-old man, of no fixed address, was also arrested on suspicion of vehicle interference and going equipped for theft of a motor vehicle. He was later released under investigation and enquiries are ongoing. Sarah Leadbeatter, Prevention Inspector in Horsham, said: “Vehicle crime is one of our main priorities in Horsham. We are aware of the impact it is having on local communities and we are committed to addressing this issue. “We have increased patrol in and around Horsham and are being proactive in using our police powers in terms of stop and searches and identifying suspects on CCTV. “The arrests over the last week show that we are not taking this behaviour lightly and it will not be tolerated. “Make sure you don’t leave anything on display, park in a well-lit area and ensure they are always locked and secure. To report an issue of vehicle crime please go online or call 101 quoting Operation Blackout. If you see a crime taking place please dial 999 without delay.